2013 - Florida's Beer Year! The above headline says it all. Florida is finally coming into it's own in the craft beer scene. The total number of breweries, in the US as of last July is 2075. There are 1000 more in the planning stages. (Source: Brewers Assn.) Much of that new growth will take place in places that are 'behind' the rest of the country. (Craft beer production and beer culture wise.) Florida has lagged behind much of the country for years; now that is coming to an end. Over the last several years new craft beers appear on store shelves almost weekly. 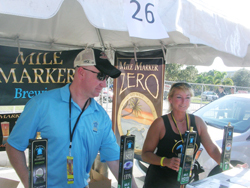 Florida brewers, seeing the growing popularity of their craft, are making their move to open themselves. Why bring good beer from far away when you can product it locally? 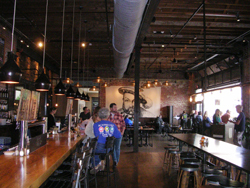 The new breweries are opening up all over the state providing locally sourced jobs and beer. As this advances Florida will have it's own beer culture that will have it's own identity and different products than other areas of the country. 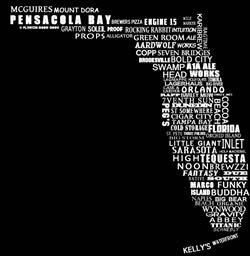 If you are in or visiting Florida be sure to find your local brewery, beer bar or brewpub; you will be glad you did! 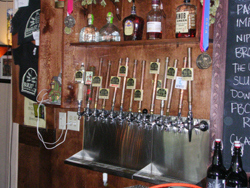 Tip; Use Beer Advocate's listing to find your town and see where the good beer is. My beer year starts in Jupiter at the yearly events, as usual. In March I will travel to the Orlando area to visit craft beer venues. 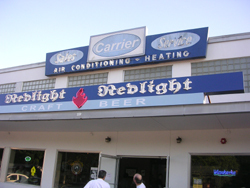 Redlight Redlight Beer Parlour and Hourglass Brewery both will be visited. In September I am going to a Belgian Beer Festival in Boston and will spend 10 days around New England enjoying the weather, people and the beer. In October I will go to western NC for my usual fall visit. I can't wait to see how the new breweries around Asheville are doing. I want to try some of the new local breweries that have popped up over the last several years as well. If we meet out there....let's have a beer! 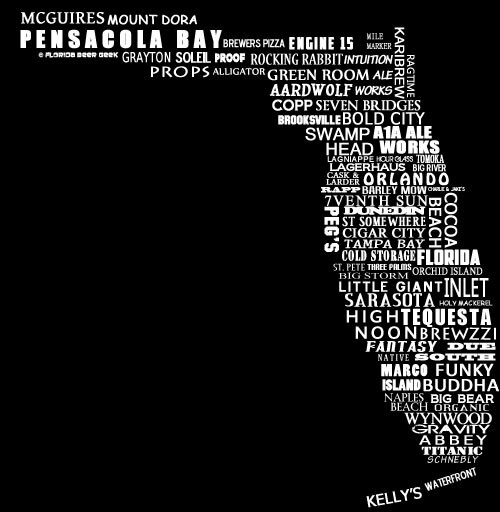 Cool Florida Brewery tee shirt design. It has every brewery open at the time it was designed. 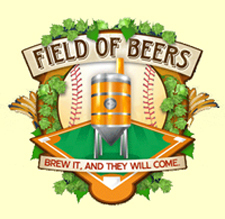 (Mid 2012) The designer, Mike the Florida Beer Geek created the design and will make more in the future. 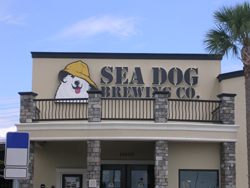 This year Florida's breweries are really growing and making some great beer. 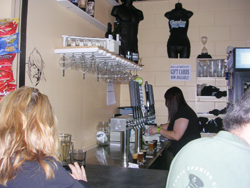 Tequesta is an example of the growth and the good beer. They celebrated their 2nd anniversery a few days before I visited, so this brewery is doing quite well. 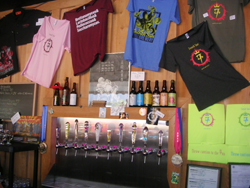 I had lunch at a local eatery, Food Shack, and they had several Tequesta brews in tap. 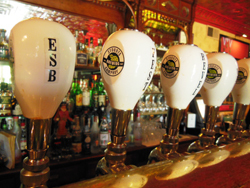 The beer is at many other local bars and restaurants,. almost everywhere I visited had something from Tequesta. They have a great reputation and beer to match. On this visit there the bar was full so we sat at a couch and table like a you would at home. Nearby the growler filler was busy the entire time. Brewer Matt is brewing great beers here; some for the tap room only. I enjoyed his Double IPA and my friends liked the imperial stout. We were there the afternoon before the Field of Beers event so it was a quick visit. 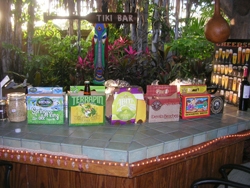 After two years Tequesta has a great local following and the beer can be found all over South Florida. Most people there were local and many were stopping by to get growlers for later that day or night. It's a fun place and I have a few pictures from my visit on the GBL Facebook page in the Field of Beers album. The first 12 are from Tequesta. Tequesta Brewing can be found on Facebook and Twitter. If you are in the area Tequesta is a must visit. This festival is in it's 7th year and I can see some effects locally. At a local Italian place (Zipz's) the beer selection always was only the big 3. This year they had all craft beer. Seven years ago the big 3 was all that was available anywhere in this area. 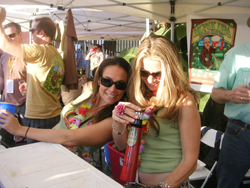 The festival increased awareness and demand for craft beer. Almost everywhere I went now had craft beers. 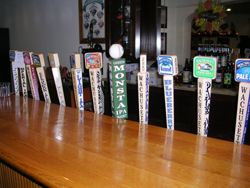 Tequesta brewing is local and probably 'broke the ice' in many places that previously only served industrial lagers. This is great to see and it is happening all around Florida. Cheers!! Big Storm Brewing is a small warehouse brewery, located in Odessa. This is about 30 minutes North of Dunedin, on the West coast of Florida. We found it in a rural area of warehouses in the middle of the afternoon. It's a very mom and pop- type of atmosphere, in that the young man who was serving the beer to us, was on the other side of a sliding window. We tried three of their beers, and one of them was very nice - a double IPA. There were a few people there when we arrived. This up and coming brewery is going to take delivery of some larger tanks, and they will be getting an automated system for brewing. On some nights, they have food trucks on the premises. The party and beer tasting was to be a surprise for Carlo on his 30th birthday. The idea was that there was going to be a small family get together for the occasion. This would have been about 8 family members at the most. Instead there were probably 30 family members, relatives and old friends.This worked and it really was a surprise. I arrived early to set up the beer tasting and assorted beer memorabilia. The tasting was a light to dark beer line up using several spring ales. Once I was set up the people started to show up. While we waited I explained what we were doing with the tasting and answered many beer related questions as well. There were also several different beers that friends had brought. I worked them into the tasting as we moved along. One of those, New Albion Ale, was really enjoyed by several people. I know the beer and the history behind it so some folks got the entire story and thought the beer and history was very cool. Carlo and his family were now coming over. Everyone gathered inside the house for the big surprise. As they came it some of the family that was 'supposed' to be there started talking about cooking the dinner. This just led them on more. When they came in the group yelled "Surprise" and they were very surprised. Once Carlo found out about the beer tasting he was all for getting it started up right away. Tasting sheets were handed out as well as a short history of beer. All the beers were liked by many; there was a good variety so people got to try a good selection of beer. After the actual tasting people could then have whatever beer they wanted. Each beer had it's fans and the bar was open as well. Dinner was served for everyone; then it was time for cake and a toast. The group all had a great time; several like the tasting idea and want to have their own. For a few photos of the event see the GBL FB page. Cheers! TBB's Coral Springs Taphouse is located on the very busy restaurant row of Coral Springs, just down the street from Big Bear Brewing. We were there on a recent Saturday afternoon. There is seating on the outside, and inside, there are 24 taps. Some of the beer is from TBB in Tampa, as one would expect. We found the staff to be very friendly and knowledgeable. The owner was there, and he conducted a tour. There are many guest taps, as there were only about 6 from the brewery in Tampa. However, this place will be brewing TBB's brews very soon. Food is available from a couple of nearby restaurants - you place your order with an employee, who orders from a separate computer for the restaurant. We did this, and in a little while, an order of delicious wings arrived. This is a concept that was apparently started by the World of Beer chain. It works very well. The taphouse has been open for only 5 weeks, and there is a mug club. This is a fun and clean place, and they will also be having special days where aged beer will be offered. I recommend this place to anyone that is interested in good craft beer in a friendly atmosphere. There are also many televisions, though the sound was off, so that conversations could be held. Website: TBBC_CS.com- Facebook Some photos from the day are posted on the GBL FB Page. 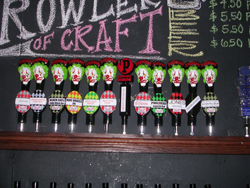 Pinglehead Brewing is a local brewery in the Jacksonville area. They are making some great hoppy beers. As their website says they make Beer with Attitude. If you don't like big hoppy beers don't even look our way. If you really like pale lagers served freezing cold; don't waste you time trying our beer. Great! I love this attitude as too many try to cater to everyone; these guys only cater to drinkers of real beer; hopheads welcome. They also have a good selection of guest craft beers so people can compare them. Many locals do try many beers and end up with Pinglehead beers as a first choice. On my visit I drank only their beer as I won't be back soon so I wanted to try theirs. A sampler flight of 4 six oz glasses was my first order. I thought I ordered several different styles but ended up with 3 IPAs and the Red. Smooth Operator, 9 Voices and Dream Catcher are all IPAs. Each one was good and had it's own characteristics. That is very good for a smaller local brewery that is only a few years old. The Red is their flagship beer and I can see why. It's the modern version of the Red Ales of the 1990's. Not a Red IPA as the malty sweetness is there too. At 7.8% ABV and only 25 IBU it is a really enjoyable drinkable Red Ale. Pinglehead beers are available all around town. Growlers of various sizes are available to go. My pizza was one of the best I have had. The Florida Smacker really is "Lip Smack'n Southern Style Pizza". Paired with the Red this was one of the best meals of the trip. I got a growler of Red to go and will return when ever I'm in the area. Website: Pinglehead.com and BrewersPizza.com See the GBL FB page for more. While at lunch as Sea Dog we met a local who knew how to get to Barley Mow Brewing. Once we heard how close it was we headed over for a quick visit. It was about 15 minutes but well worth the drive. 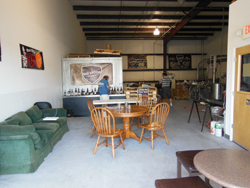 Barley Mow Brewing Company is a nano brewery which is much smaller then a micro brewery. The good part of this is that it enables a brewer to test out his recipes and have a place for people to try them. All that at a much lower cost that setting up a full scale brewery. We arrived at the small building, with a old time BBQ right across the street, and went in to find a friendly place. There were 13 beers on tap that day; something for everyone. Several of us got a flight so everyone could try the beer. I had Lamplighter Amber Ale, Quackalope IPA, Imperial Red and Selkie Belgian Rye Pale Ale All were good; the Selkie was memorable. Nice Belgian yeast tastes with a light rye taste in a pale ale. The others had some of the dark offerings; stout, brown and porter and a grapefruit pale ale with grapefruit brewed into the beer. 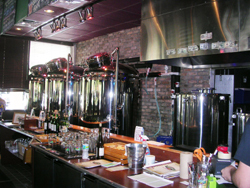 The brewing takes place in and around the tasting room area. They then keg it and store it in a building at the back of the property. Most of that beer is consumed right there and a few kegs are distributed to other nano breweries around the area. There is no food service but they allow you to bring your own in. 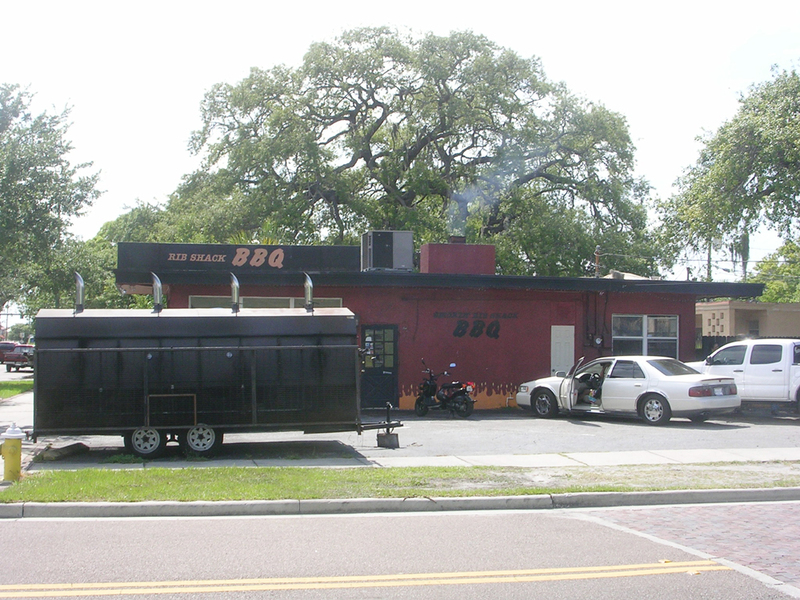 The Rib Shack BBQ across the street smelled great so next time I will have my lunch at Barley Mow Brewing. Website More photos on the GBL FB page. The fifth annual festival was on Saturday June 1st. This festival is one of the most fun and smaller than the rest. I attended with the three Pearl brothers just as we did last year. Last year Steve tried to drink all the IPA's there and had a rough ending to the evening. This year he wanted to go slower and enjoy the festival. It worked out well for him. This year we visited several breweries earlier so we were ready for the day's finale, the IPA festival. Our other adventures are just above. Rain played its part this year for the first time. All these years we have gone to various events rain has never been a factor. It started at 7venth Sun; as we were thinking of leaving, a big cloud came up and drenched the area. This was ok; in meant that we would just have to try another beer. The clouds cleared and everything looked good for the festival. Due to the rain we were late to the festival; this just made it easier to get in. (I'm starting to think coming late is good at all beer festivals!) We got in and started to try the various IPA's available. At the main bar there were 13 IPA's. Among them were local beers from Dunedin, Barley Mow, Rapp and 7venth Sun. Dogfish 60, 90 and 120 Minute IPA were there along with Sierra Nevada and Hoppin' Frog. Dunedin went all out I think they must have had 12 or 13 of their own IPA's all around the festival. 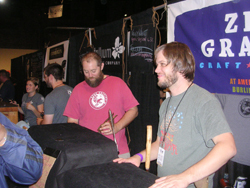 The crowd is always good here; all good beer lovers and some that work in the business. I met an ex brewer of Hoppin Frog and some folks from Jacksonville who are familiar with all the new craft beer activity up there. 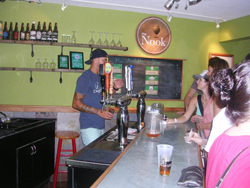 The Nook area had 6 additional beers available. About the time I was in the Nook the rain returned. As someone said later, the rain didn't hurt anything; it just brought the crowd closer together! That's true as is rained so hard that people outside came inside. The rain eventually slowed and I went outside to get some raffle tickets. At all the Dunedin events our friend KK runs a raffle of breweriana benefiting the Dunedin Doggie Rescue. It's a great cause and I get tickets every year. This year I won a pint glass and a tall boy can of IPA from New Orleans Brewing Co. The grand prizes were handed out and the festival was winding down. I joined the Pearl's at a table to finish the night. Michael, the owner of Dunedin was nearby and we talked beer for a while. I mentioned the recent growler bill that failed to pass the legislature; we both want to see it passed among other things. It was a good festival, everyone had a great time, see you next year. 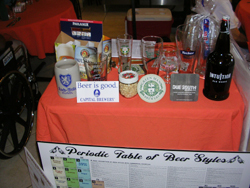 See the GBL FB page for more pictures and Dunedin Brewing's website for info on all their events. Happy 17th anniversary to the folks at Dunedin - July 6th 2013. Cheers! Stoudt's Brewery - Adamstown, PA. In early August of this year (2013), my brother and I had the opportunity to visit the northeastern part of the country. This was because a very interesting music concert beckoned our attendance. While in New Jersey and Pennsylvania, we took advantage of our time, by visiting some special breweries and brewpubs. The first of these visits was to Stoudt's, located in the Amish-like city of Adamstown, Pennsylvania. The brewpub began many years ago as a steakhouse. 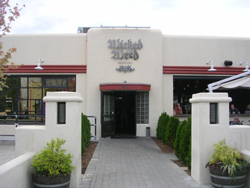 The brewery was added years later, as the owners enjoyed craft beer. They wanted their customers to be able to enjoy it there. 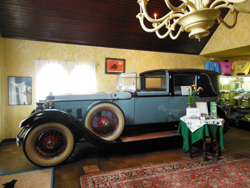 It is operated by an older couple, the Stoudts. They and at least one daughter, who runs a separate business on the property (making bread and cheese) are involved in the day-to-day operations. Mrs. Stoudt who is now perhaps 68 years old, is still the brewmaster. Boston Beer Works - Fenway Boston, Mass. 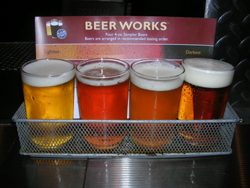 When the plane landed at Boston Logan Airport a car was rented and we headed to Boston Beer Works for lunch and a few brews. After a mixed up ride over (thanks stupid GPS) we arrived after the regular lunch crowd had finished. It was a non baseball day which made it possible to park out front and get a spot inside. I remember the place from 10 years ago and it is almost unchanged. The chain has grown; there are now 7 locations to enjoy the wide variety of beers and good food to go with them. 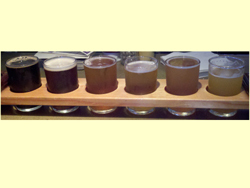 Samplers were ordered; I got Imperial Pilsner, IPA, Double Pale and Rosemary IPA. I enjoyed the hoppy double pale the most. The imperial pilsner was memorable also. There are 16 brews on at any time; we tried almost all of them. They serve a blueberry ale that has blueberries in the glass. I looked down the bar and could see a beer that had something in it; that turned out to be fresh blueberries. Our bartender was helpful and got small samples of any other beer we wanted to try. We finished up our lunch and realized that time had slipped by and we needed to get going to make the 3:00 tour at Sam Adams. (See below) The lunch food was really good; just what we needed for our first day in Boston. Service was great and we would come back again. It would be nice to try some of the other locations as the beer list can vary. Maybe next time. Website: BeerWorks.net More pictures at the GBL FB page. Sam Adams Boston Brewery - Boston, Mass. The last tour if the day was at 3:00 and we were driving over from Boston Beerworks Fenway a "15 minute" drive. It was a short drive but Boston traffic hadn't been taken into account. Light after light, holdup after holdup and mixed up streets and directions were happening. We got there a little after 3 but had to go around the block which took 10 more minutes. We parked and walked over to where the tour signs were and no one was to be found. The area looked deserted as if they were closed. We walked around and took some pictures and found ourselves near a loading dock with aging barrels there. There was a small door built into the larger garage door and someone came out. This was the tour ending and the first people coming out. The tour isn't long and there is a classroom where they taste beer and tell everyone about Sam Adams Brewing. We were able to get in that door and looked around to see what we could see. Eventually someone asked us what we were doing and we explained. Brendan was good enough to give us a short personal tour. This was greatly appreciated and also is how good things happen to me when beer is involved. We were able to get a glass and tasting just as the rest of the tour had done. The aging room was impressive; there is a lot of Utopias and other special beers there. Brendan also told us that Sam Adams was having an Oktoberfest event that weekend. They would be serving some special beers there too. Alas, we already were going to the Belgian Beer festival so maybe next time. The tour is good; I recommend taking the train and getting there a bit early. Brewery and Tour webpage. Photos at and around the brewery on the GBL FB page. Belgian Beer Festival - Boston, Mass. 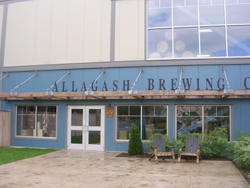 Allagash Brewing Company - Portland, Maine. Allagash Brewing is one of the best brewery tours I have been on. It is well organized, the new brewery area is bright and spacious and they are brewing great beer. 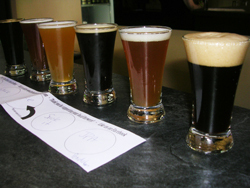 Each brewery tour includes a complete tour and tasting of four of the brews; some are brewery only. The on line signup is a good idea; this way you know when your tour will be. If a time is full you can just choose another time. Tours are given Monday through Saturday; check the tour section of the website to find tour times daily. The tour starts in the tasting room; everyone is given earphones so the guide can be heard. This is a working brewery and can be noisy at times so this was a good idea. The first area is the brew kettles where all the cooking and hopping takes place. 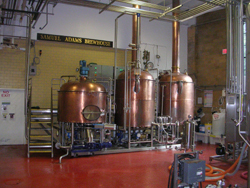 This is a new area of the brewery so they were able to custom build it to their specifications. The brewing process is in a long line. The brewing room was first, fermentation is next and so on. 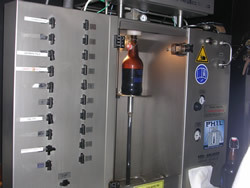 The final area is bottling and shipping. So, the beer moves from one area to the next in an orderly fashion. There is plenty of room for expansion; right now there are some areas that are very open; these could get tighter when more capacity is added. 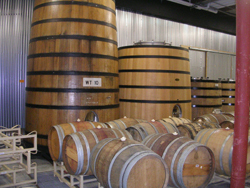 The original building is now the storage and aging area for Alllagash's barrel and bottle conditioning programs. 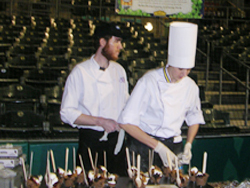 This started in 2001, long before brewers were doing anything like this. I would have liked to try some of the aged beers but that is only on special tours. The tasting room has a great atmosphere and the tasters are small wooden holders for 4 small snifter glasses; perfect for the beer sampled. This day the four were: Allagash White, Four, (A Belgian Quad style) Hugh Malone (A Belgian Style IPA a tribute to responsible agricultural practices; for more see the Hugh Malone area of the website.) and Bourbon Barrel Black (The Belgian Style Stout aged for 1 year in bourbon barrels.) My favorite was the Hugh Malone; a nice Belgian twist to the IPA style. Overall the tour was great and everyone there is friendly and likes their job. I liked the different beers and didn't realize how many different beers Allagash makes. I will be looking to try and enjoy them soon. Website: Allagash.com See a complete set of pictures on the GBL Facebook Page. 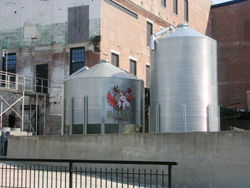 McNeills Brewery - Brattleboro, VT. Cool funky place serving some good English style ales. Great selection with several on cask. The owner was enjoying a few at the bar; told me he had some health issues and was not bottling anymore; he wants to keep the bar going. I sure hope he does as this os a one of a kind place. This was my third try; they were closed the last two times! Northhampton Bewerry - Northampton, Mass. My second visit to one of the older brewpubs in Western Mass. The business has expanded; there is a beautiful new dining room and an outside patio. Still serving good ales; I had Boots IPA and Hop Harvest Ale. Good food selection too. Wachusett Brewing Co. - Westminister, Mass. 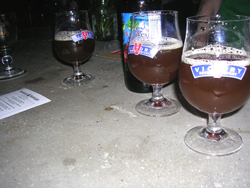 Results of the 2013 Beer Drinker of the year contest: The panel of wigged and robed judges has cast its votes for the 2013 Beerdrinker of the Year award. The winner is Warren Monteiro, a New York City freelance writer, beer traveler, homebrewer and beer columnist. His in-depth beer expertise, extensive travels in pursuit of beer, and his efforts to promote great beer to others helped him win the 2013 title. In his 2013 Beerdrinker of the Year resume, he detailed his philosophy of beer drinking: “It’s not a habit, it’s a lifestyle. This is why I constantly travel – to get a taste of a new brew or one I’ve been missing, and to find a way to share it whenever possible. I consider creative beer drinking to be an essential part of the tapestry of art and fellowship contributing to a full life.” For more about Warren and the other finalists see the 2013 BeerDrinker Page. Congratulations to Warren for a great beer year and job well done.